If, like me, you haven’t heard of John Banville’s Fifties-set books, then, like me, new BBC drama Quirke is uncharted territory. For those who are, thanks to the novels, already familiar with the world-weary Dublin-based pathologist, then fear not. This Andrew Davis adaptation is - so I’m led to believe - a faithful one. Had it been Davies’ moniker alone adorning the show, I’d have been tempted to tune in, but Quirke has more than its fair share of big names. Sprinkled liberally among the cast are Brian Gleeson, Geraldine Somerville, Nick Dunning, Michael Gambon and, taking the lead, Gabriel Byrne. He has previously admitted he dislikes being described as ‘brooding’, but until he tapdances his way across the screen in a clown costume, he’s got slim chance of being written up as anything else. There’s little room for laughs here, as he plays Quirke, the behatted, besuited and yes, brooding, pathologist who finds himself embroiled in a complex case after the body of Christine Falls is moved from his morgue. When he does get his hands on her - so to speak - he dismisses the recorded cause of death and probes deeper. He learns she had died during birth, but what of the child? Quirke refuses to let the matter drop, asking awkward questions and stirring up enough trouble to see another woman die and himself endure a beating at the hands of two heavies. But as Quirke doggedly picks at even the slenderest thread, the case slowly, painfully unravels, exposing church-led baby trafficking that, believe it or not, had honest motivations - at least to begin with. 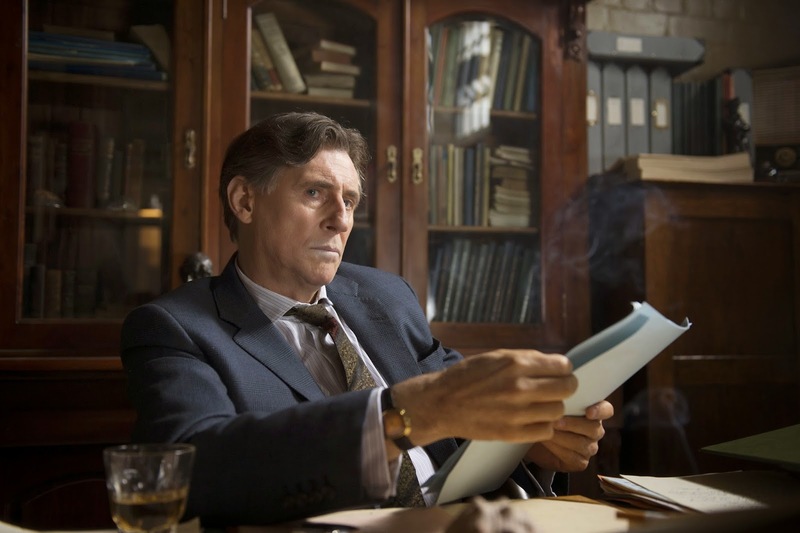 The drama comes even closer to home for Quirke when he’s forced to confront his own painful past and admit to his niece Phoebe, who is in love with him, that he is in fact her father. I’ve been existing on a diet of US TV dramas in recent weeks, and if they are fast food, Quirke is the televisual equivalent of five-star dining. It’s elegant and stately, with a compelling story that breaks over you like a slow wave again and again. Adding to the enjoyment was the creeping realisation that the relationships between Somerville, Dunning and Byrne’s characters were far from cut and dried. “What a mess we’ve made of our lives” he sighs to Somerville. Her portrayal of a slightly faded Boston beauty was marvellous, but for me Dunning deserves special mention. His playing of Mal was nuanced and wonderful; cold and disapproving with Quirke, with whom he has so much problematic shared history, and yet his anguish when Quirke confesses all to Phoebe subtly demonstrates how much he loves the wild young girl who had - until that moment - been his daughter. Byrne is, of course, the main attraction and for the most part is worth every penny, but I felt downright cheated during his crucial scene at baby Christine’s grave with Gambon. It was an emotionally charged meeting between two acting heavyweights and they may as well have been discussing their washing! “I will bring you down!” hissed Byrne, as he discovered Gambon’s part in the baby trafficking, but he failed to convince me he meant a word. It was a real shame, because it was just about the only false step in what was a thoroughly satisfying production. Luckily, the teaser trailer for episode two fed me just enough tidbits to make me want to come back for a second helping. Quirke Continues Sunday's at 9.00pm on BBC ONE.